Made to measure belts with your choice of strap and buckle. Sterling silver plaque buckle with lines. Please note: Because personalized orders may not be canceled, and personalized items are not returnable, we ask that you take special care when making your selections. Shipping from the Atlanta, Georgia factory takes approximately four weeks; please consider this time requirement when placing your order. Based in Atlanta, Georgia, W.Kleinberg has been producing luxury buckles, belts, and handbags since 1984. With a strong expertise in exotics, W.Kleinberg uses only the most choice leathers and exotic skins, selected exclusively with belt designs in mind. The collection is known for a modern aesthetic and sleek, clean lines. 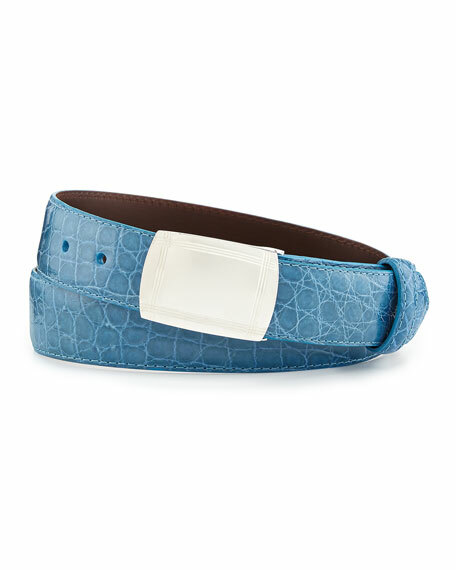 Bally belt in snake-stamped calfskin leather. 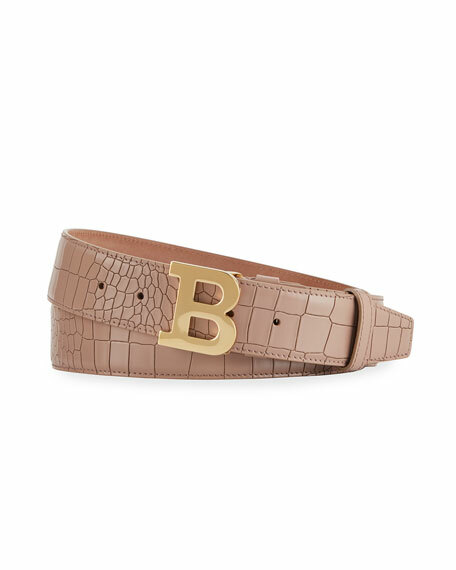 Gold-tone "B" buckle. Leather keeper strap. Adjustable fit. Approx. 1.6" width. Made in Italy. 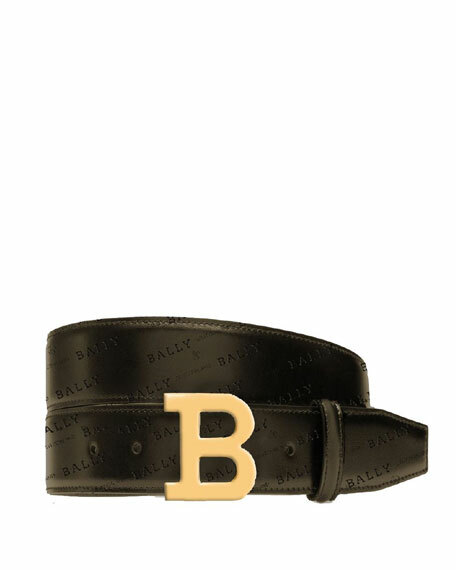 Bally "Britt" belt in split cowhide leather. Approx. 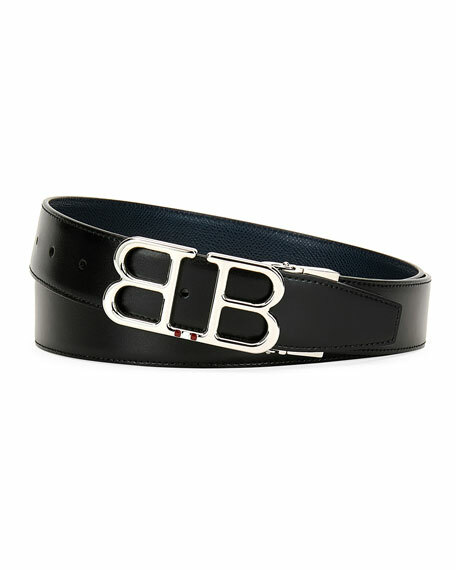 1.4"W. Chrome mirrored "B" buckle. Adjustable. Made in Italy. 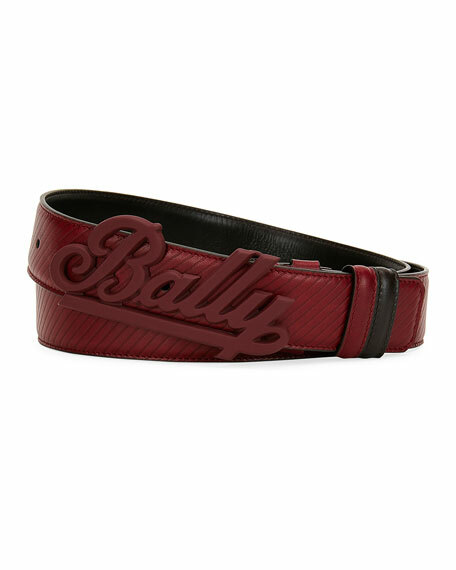 Bally leather belt in swoosh design . Textured logo script buckle. Approx. measurement: 1.4"W. Adjustable. Calf leather. Made in Italy.